Our reviews at your fingertips. Get access to over 9,000 unbiased product reviews as you shop, so you can quickly sort the Best Buys from the Don’t Buys. Available to download from the App Store or get it on Google Play. Until 2017, the Which? Reviews App had been available exclusively to Which? Members. We’ve now opened up the app to everyone to offer inclusive access to our expert product tests. You’ll have a limited period to utilise the app for free - so get browsing! 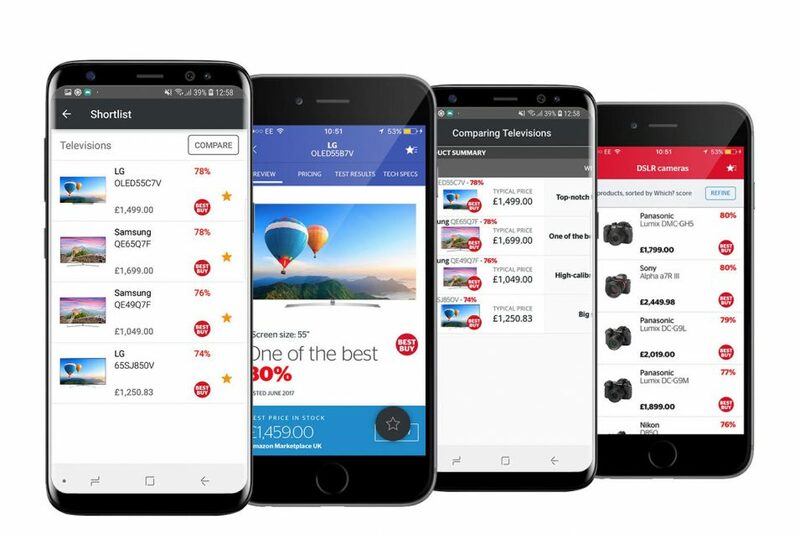 New users to the app will simply need to provide their email address and set a password to gain immediate access to over 9,000 product reviews from washing machines to pushchairs. Which? members also have unlimited access to the app to complement their membership. There are no auto subscriptions at the end of the free access. It's simply an opportunity to try before you buy. If you’d like to continue benefiting from our expert product reviews on this app you can subscribe for just £3.99 a month. You can cancel at anytime. "All you need when you are out shopping. Saved me from casting a lot of money on poorly performing branded products by letting me know that you can get even better quality and performance for less"